I made it! I finished tiling our fireplace. 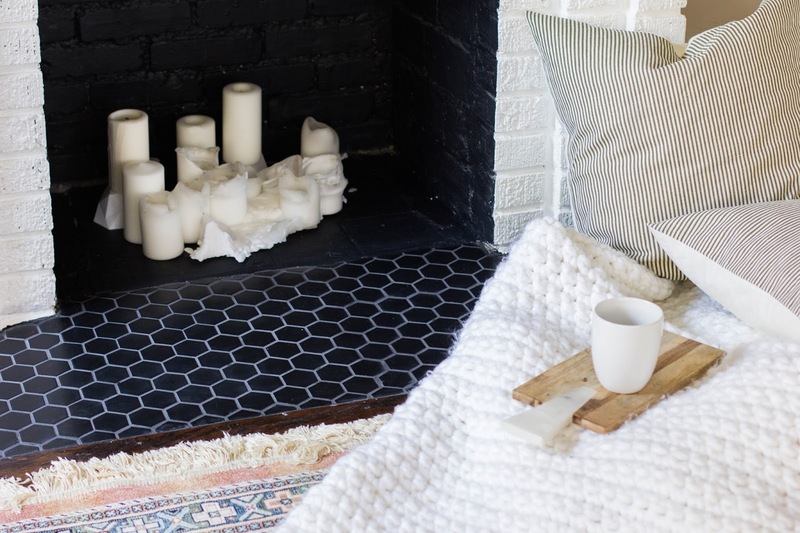 I always knew I wanted to replace the tile in front of our fireplace, but a few things came in the way of that. First of all, the previous tile (see below) that was a beast to remove. 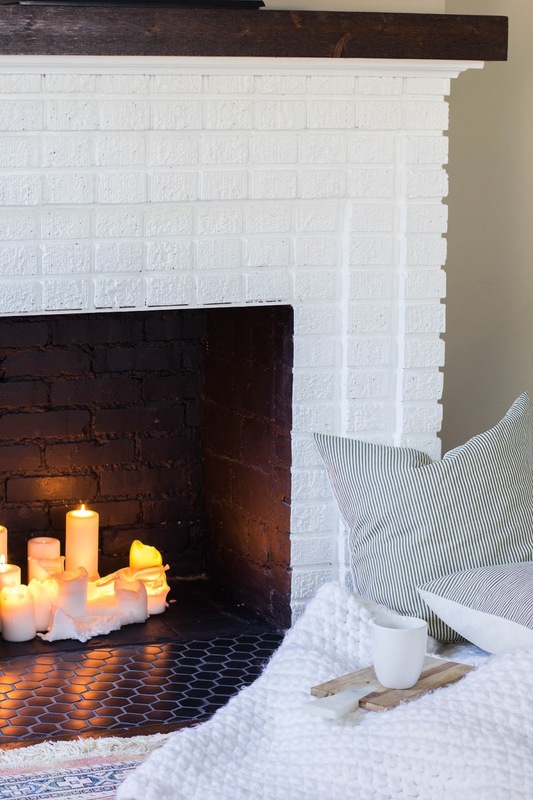 I also have never tiled before, so once I learned how I immediately ordered the fireplace tile to get to work! I learned how to tile about a month ago, and I'm now on my third project....I don't think I can stop! Maybe after I tile a bathroom I can take a break, I'm sure that is a huge undertaking. Here is the before tile. It was brown and old and blended in with the floors not making too much of a "scene", but every time I looked at them I knew they had to go. 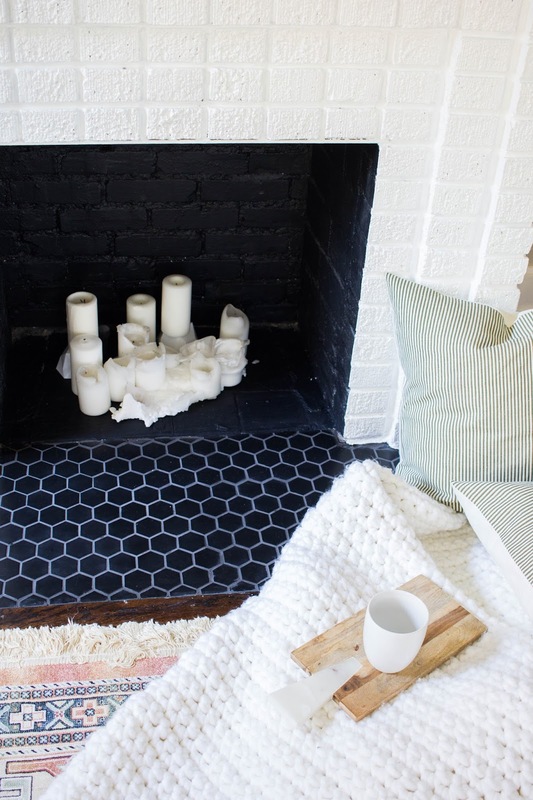 I thought about just painting them black to make them blend in with the inside of the fireplace and I also explored options like removable tile stickers, which can be a nice option if you live in a rental! 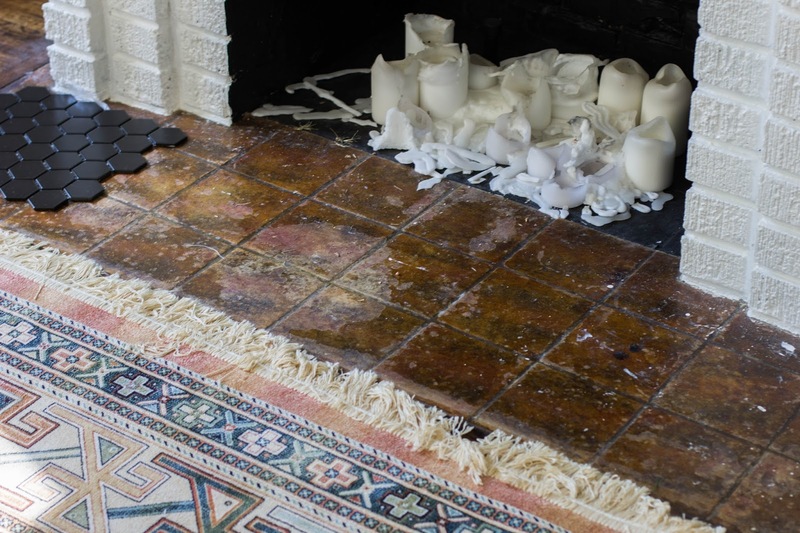 But something I've learned is I would rather make changes to our home that are high-quality and add value and not just "quick fixes" (I'm looking at you, laminate!). This is during the removal process. About an hour in to ripping up the tile, I was very concerned and didn't know if it was possible for me to remove all of the tile by myself. There was not a huge budget for this project (which totaled under $50), so hiring someone was not an option. All the YouTube videos made the process look like a breeze. It wasn't. I pressed on and planned that if I chipped away for an hour each day, I could hopefully finish by the end of the week. Something shifted about an hour later, and I found my groove...I finished that day! 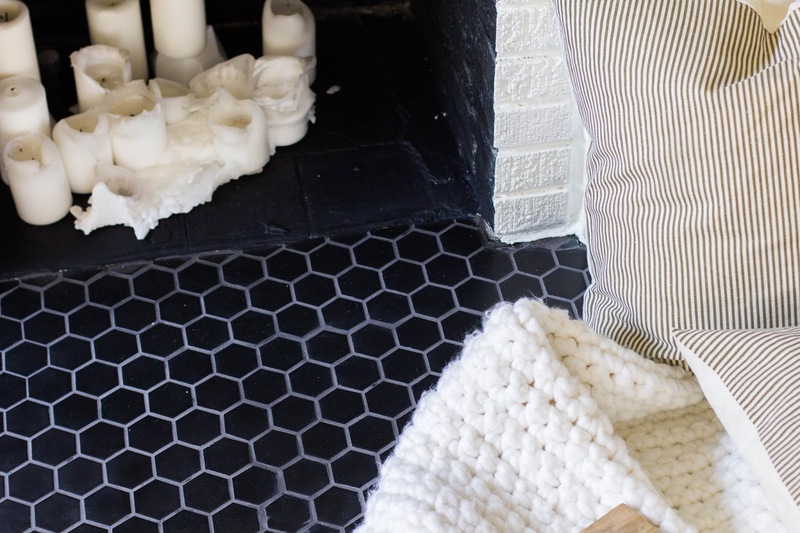 Ripping up tile is no joke, but it is possible. And it is messy. After cleaning up the dust over every inch of our living room, dining room and kitchen, the fun part arrived. I cut cement board to fill the space on the fireplace and mortared it in to place. After fully drying, I starting laying the tiles! The edges near the brick were very tricky, and obviously not perfect, but we survived. After the tiles were grouted, the fireplace finally felt complete. 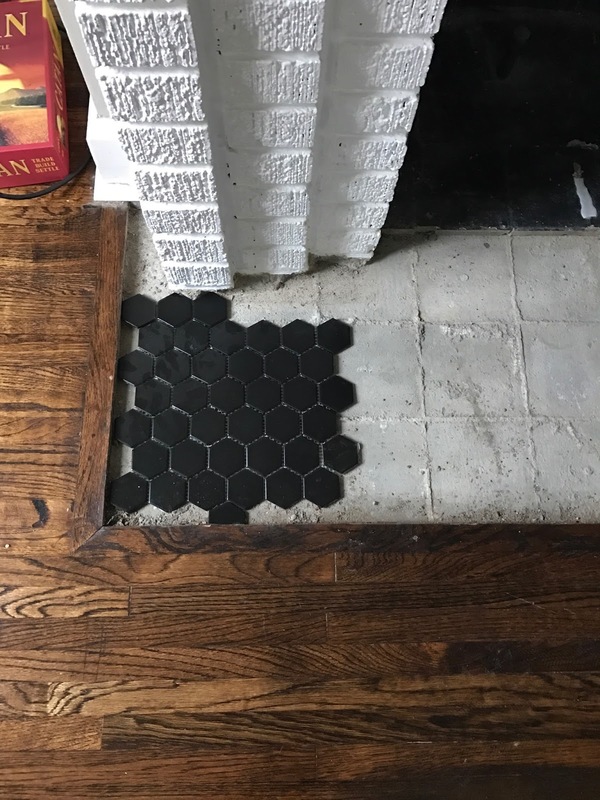 I had a hard time finding black grout, so I settled with charcoal which is a lot lighter than I imagined but I love how it makes the hexagons still stand out. I got the tile from American Fast Floors. This was the cheapest I found, and they are perfect! I bought 9 square feet, bringing this entire project to less than $50, since I borrowed all of the tiling tools. Overall, I couldn't be happier with the transformation. This post shows what it looked like in the beginning. What about you, do you have a tiling project you've been wanting to tackle? So pretty! 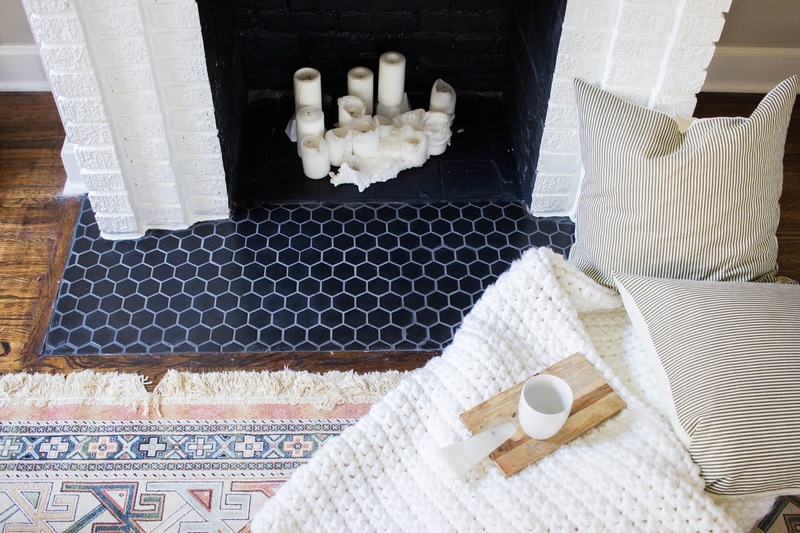 I love everything with a good old hex tile! Thanks!! 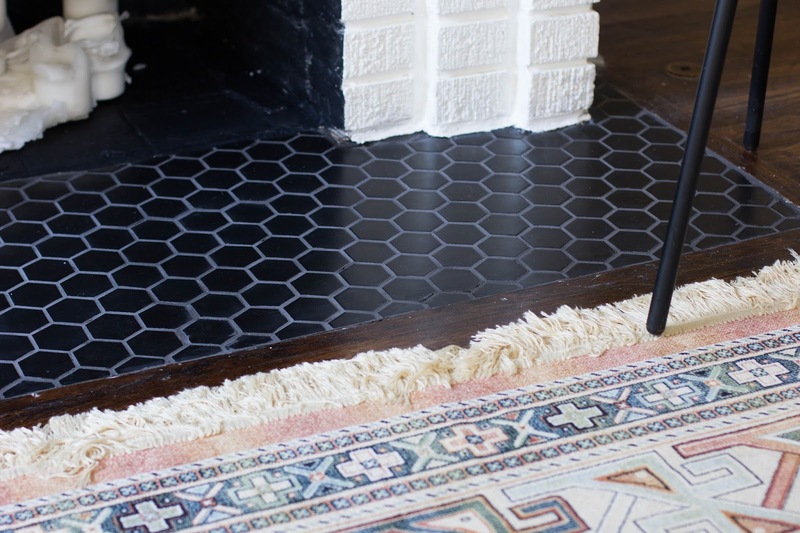 I agree, hex tile is just so classic and I like the larger scale for a more modern look! Thanks so much! 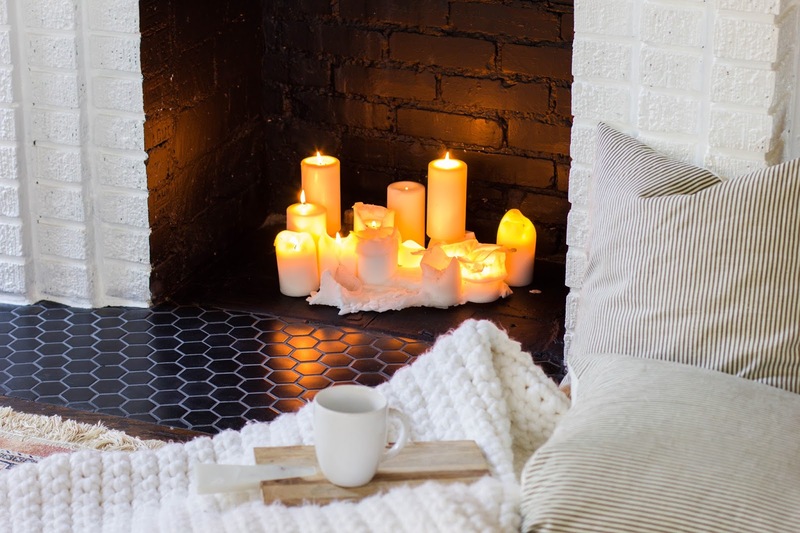 We love having those candles in there! holy COW!!!!! it seriously looks Outstanding!! You're so inspiring to me, keep it up girl! You are the sweetest! Thanks Kaylan!